Jax Vineyards is a family owned, family run boutique winery in Calistoga. Siblings Kimberly and Trent Jackson pay homage to their agricultural heritage by using premium grapes to create cult status wines, all while embracing a very chic, young, and urban image. The JAX Estate Cabernet Sauvignon and JAX Y3 wines appeal to established wine collectors and young professionals alike, as these wines are at home in the most high-end new world wine collections as well as the hottest restaurants. JAX has received high praise from sources such as Robert Parker and Wine Spectator, as well as featured product placement on the HBO hit series Entourage and the FOX phenomenon Glee. The JAX Estate Cabernet Sauvignon is limited to less than 1000 cases per year to ensure optimal quality under the capable hands of Kirk Venge. The JAX Y3 wines are made from premium Napa Valley/Sonoma Coast grapes to create varietally correct, well balanced, and fruit friendly wines. Currently the JAX Y3 brand includes Sauvignon Blanc, Chardonnay, Pinot Noir, and a Red Blend. JAX Tasting Room & Event Space is located in the heart of San Francisco's SOMA District just two blocks north of AT&T Ballpark. For times of operation, special events or to book your next event in San Francisco please visit our website www.jaxvineyards.com or call 415.446.9505. JAX Vineyards Tasting Room/Event Space is the perfect place for you and your friends to have a Napa Valley Wine Experience in the heart of San Francisco. Our indoor/outdoor tasting room is located on Brannan St. between 2nd and 3rd St just two blocks north of the SF Giants Stadium. Hours TBD, please inquire about events. 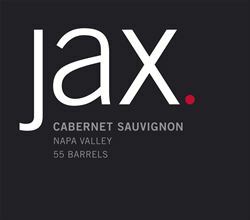 To join the wine club, visit www.jaxvineyards.com or call 415-446-9505. Prices vary based on level of membership. To learn more about our wine club, go to www.jaxvineyards.com.